On Friday afternoon, Sen. Rand Paul (R-Kentucky) was assaulted in his Warren County home. According to WBKO-TV, Dr. Rene Bousher, 59, intentionally assaulted the senator, causing minor injuries. Kentucky State Police arrested Bousher, charged him with one count of fourth degree assault - minor injury. He was then transported to the Warren County Detention Center. According to Paul's staff, he was blindsided by the attack. Boucher is being held on a $5,000 bond, the Bowling Green Daily News reported. The charges Boucher is facing are considered a Class A misdemeanor, which could land him in jail for one year. 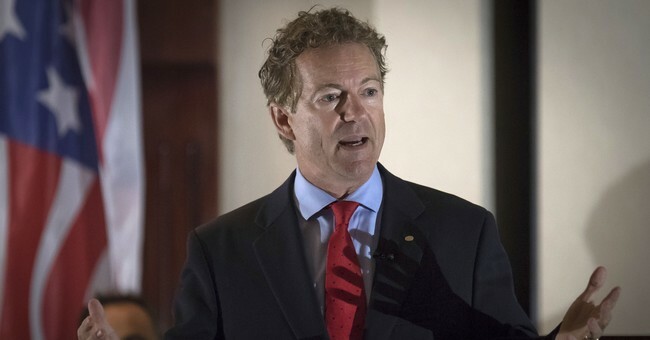 The suspect who assaulted Paul lives next door to the senator, WNKY-TV reported on Twitter.